Why Are Teens so Impulsive and Emotional? Get on Twitter and learn why with the ABC News Chief Health and Medical Editor, Dr. RIchard Besser. 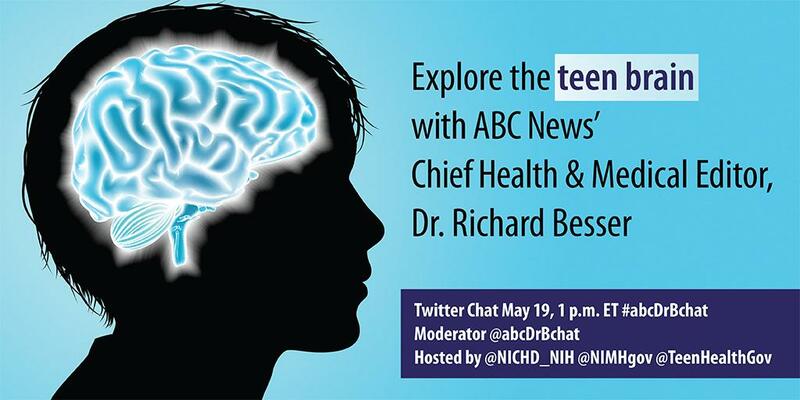 On May 19, the hashtag #abcDrBchat will be a Twitter conversation hosted by @NICHD_NIH, @NIMHgov and @TeenHealthGov. on May 19. This entry was posted in Awareness and tagged Twitter. Bookmark the permalink.